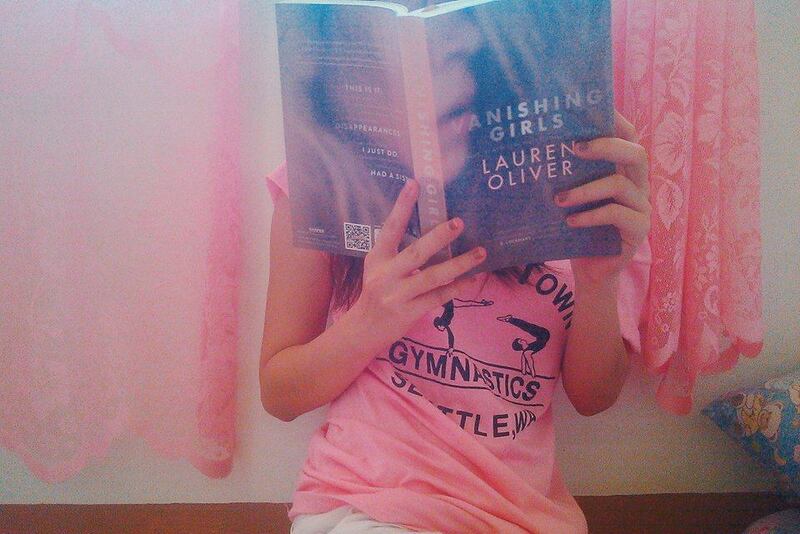 l loved the book all throughout! But if you looked above, I only gave three stars for some reason. But first let me tell you what I liked about it. 1). The sister rivalry is real as the clouds above. I haven’t got a sister but I found that factor in the story very honest. 2).The writing is so good, but I disagree that it’s a thriller of sort, I did not feel any creepiness with this one. 3). The build up is so strong. On the downside, at page 96, I started having ideas about how the book would end and I got them right. It’s good if I’m already halfway through the end, but I’m just starting the book, so that’s quite disappointing.At page 242, I started getting confused again but still my ideas proved correct. If you’re looking for psychological thriller with Young Adult theme, this one is definitely good for you, but I found myself thinking what came out of it afterwards. Still, in the end it’s just a book but I was really hoping for some mind-blowing conclusion I did not get. But still, I recommend this to everyone. It’s gripping just don’t expect a lot about the ending. Originally, I wasn’t planning to make a review of this book but I still want to write something about it so I decided to make a list of the lessons I learned from and while reading this timeless tale. Needless to say, I give this book 5/5 stars! … but sometimes we find ourselves in one great, unexpected adventure with people we might find weird and obscure and may actually become a big part of our lives. A journey worth your while entails challenges, battles and meeting new friends and foes. Some people can be blinded by wealth and power no matter where they came from from. You might help people or make them stumble along the way but we should remain helpful and humble. Sometimes we make decisions that are against our friends but will actually save them a lot more trouble in the end. Help is available to those who give help themselves. No matter how brave you became, never forget who you are. Great book indeed. 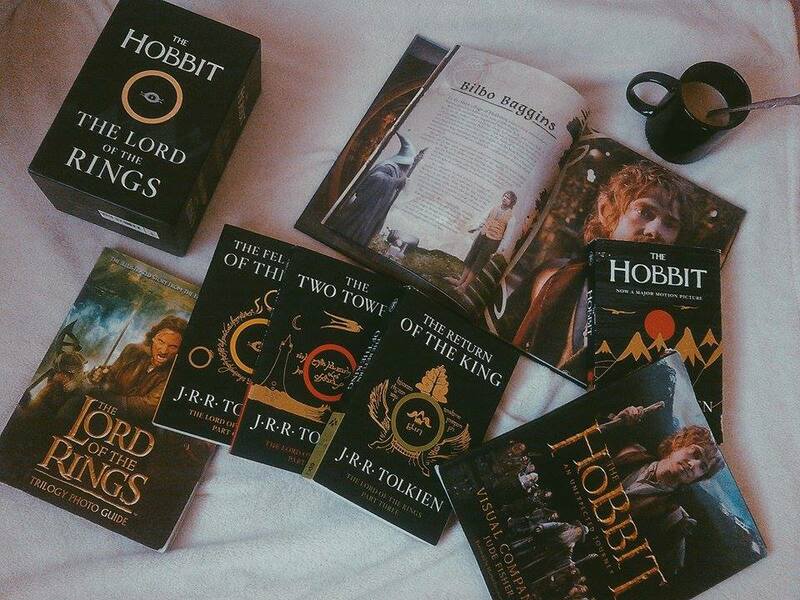 Below is my collection of The Hobbit and The Lord of The Rings books and movie companions. Let me just say that it’s more than what I expected from a children’s book! 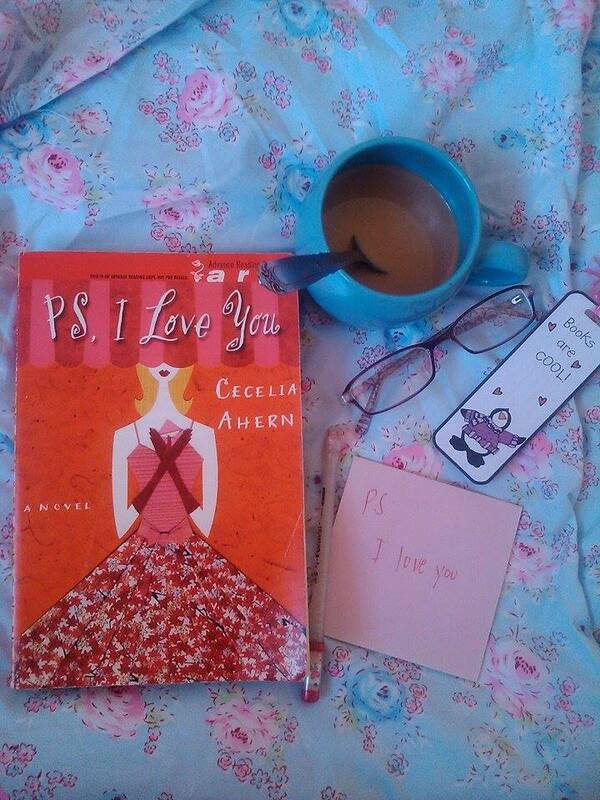 At first I was hesitant to continue reading it but after fifty pages or so, I couldn’t put it down! This story got a heart ❤ It’s full of adventures and eerie details and I loved how it played out in my mind. 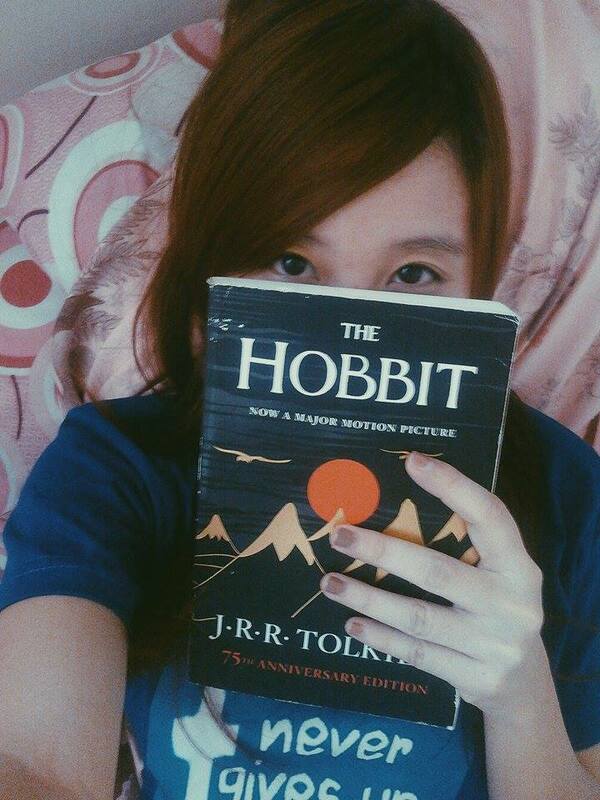 There were times that I found myself so immersed with Bod’s world that I actually have to pause reading it. Even though it’s a ghost story, it did not feel forced to me. I feel like I would reread it again anytime soon. I had a few reflections after reading this book. This book has a lot of metaphorical symbolism to real life and they’re actually good (and life changing if you let it). Basically, it’s about a kid who grew up with ghosts(who are obviously dead) and how he will eventually face the world of the living, but I’m not spoiling you guys. Also, there is this guy like Gandalf who is Bod’s gurdian and how he always talks about doing things at the right time. This book is a great foundation for kids who read and adults who need a little reminder. You wouldn’t want to miss Nobody’s adventures and aim for great adventures of your own. All the characters are distinct and vibrant and you can tell them all apart. I loved each and everyone of them and I enjoyed walking with their lives. This is one of those books where you really enjoy their interactions. The flow is just right. Not too fast, not too slow and it actually plays on my mind like a movie, so that’s a good thing. It’s the perfect balance of love, drama and real life. Plus, you will find yourself cheering for Holly as she untangles her life and finally stand on her own feet. It’s actually inspirational and speaks directly to you. Like, they just live along your neighborhood. Plus, it’s actually a hilarious read! I laughed out loud A LOT of times! It’s actually nice and the blurb really caught my attention. 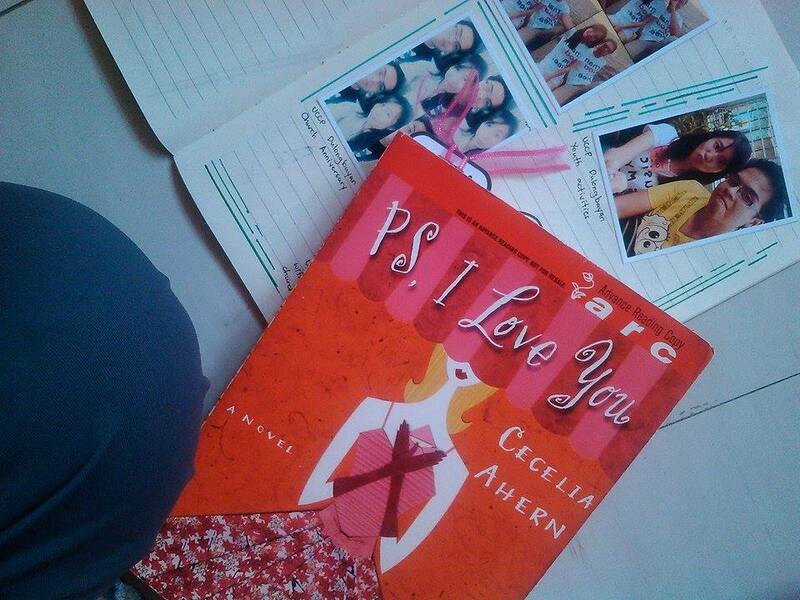 It’s one of those books I badly wanted to have, but unfortunately the feeling got old as the story progresses. It’s really bad because that’s now how I expected it to be. I was ready to at least shed a few tears but they didn’t came. The characters are okay especially Rye, I just hoped there’s a lot more of Meg because I didn’t really like Joni. I don’t know, she didn’t grow to me. I liked Meg’s bestfriend though, the Korean guy Alan. They’re just a bunch of typical teenagers and I found nothing special to them. It’s a good thing because it means it’s honest but maybe we need more creativity with that part. It’s a little bit slow and dragging at the beginning. I almost skipped the last fifty pages because I already know what’s gonna happen to the story. It actually has a lot of potential. It’s like an aftermath of a Nicholas Sparks novel minus the sugar-coating. I can compare it to some Katie Cotugno novel but this one’s much better than those, I assure you. I know a lot people can relate to it, but maybe not me and as much as I wanted to get affected, I didn’t. But, it’s good enough for a light read. You might want to give it a try because others liked it but I don’t think it’s my cup of tea. I was totally blown away! I really loved the third book for its consistency with the first two books. And, it’s a good kind of consistency where you can still see the progress and the development of the characters. 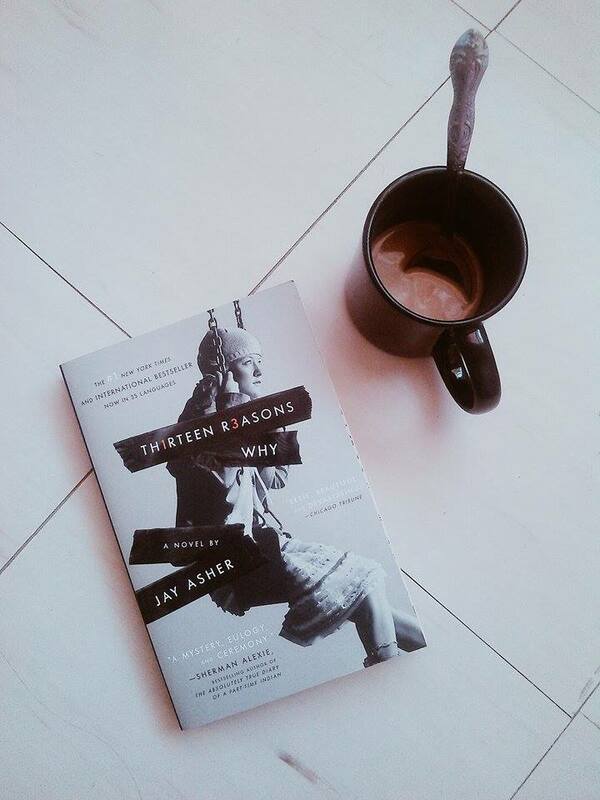 I cannot really say a lot of things because I might end up spoiling you guys but one thing’s for sure-you will still feel like you are part of the peculiardom while reading this book. 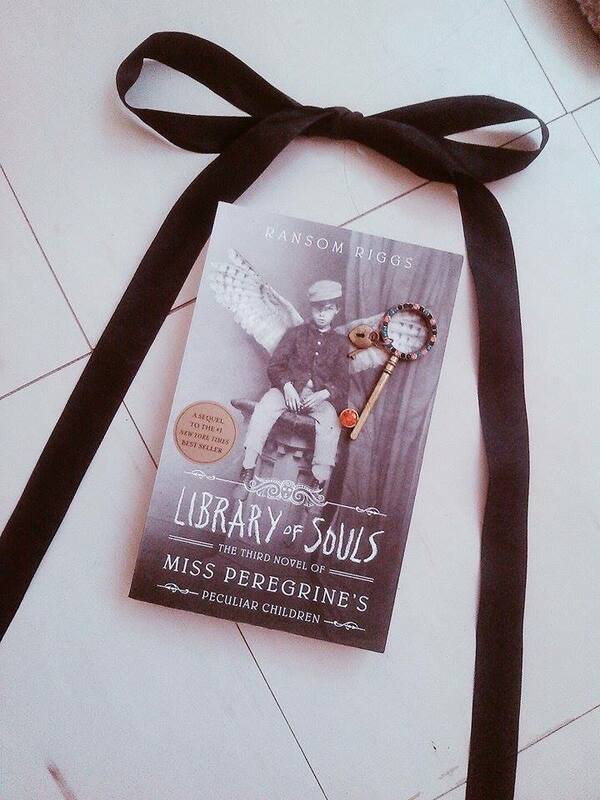 It’s the right balance of creepy and adventure, sprinkle of teenage love and whole lot of fantasy. It’s awesome! 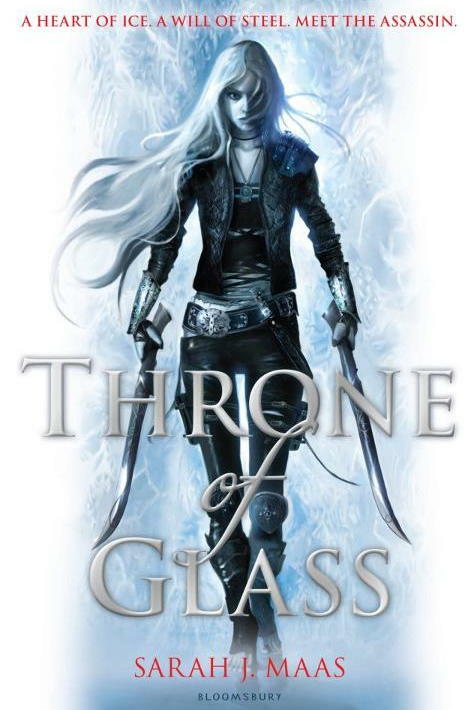 I really enjoyed the series and it’s kind of sad it has to end in the third book already. I love how it ended to be honest. I was actually hoping for that kind of twist or I might aggressively demand a fourth book. Oh, and I did not put it down unless I’m done with it. I read it for 6 hours max, minus snack time and dinner(not that it matters) and I know that I will reread the series more than once. 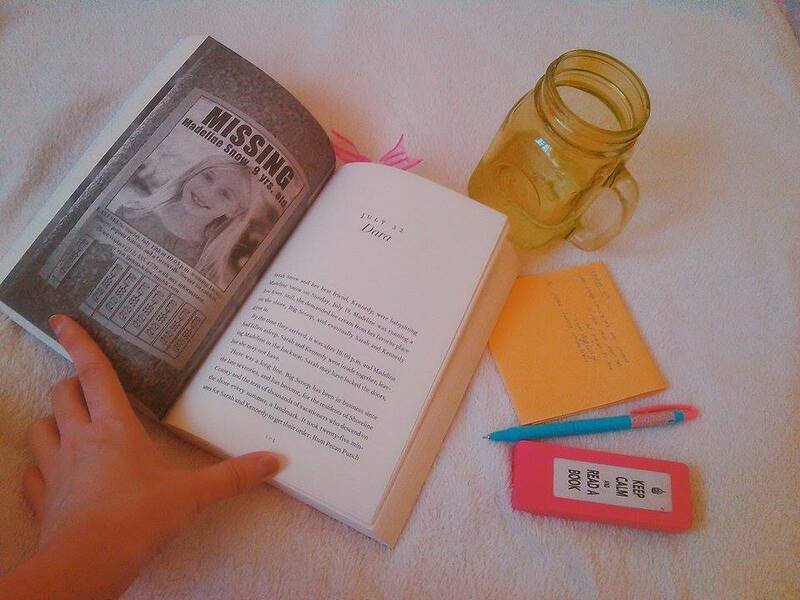 I might do another blog post about it soon, because I felt that this book became a special part of me because somehow, I became attached with their world and the characters. But, for now, that’s it! Thanks for dropping by! 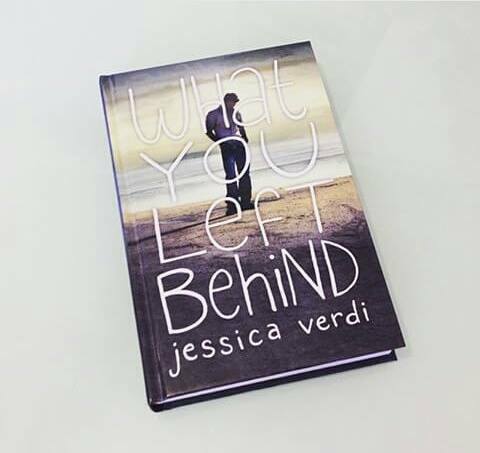 It’s an honest take on what’s going on inside a highschool girl’s mind and how they still look for acceptance and real relationship from the people around them. The concept is unique. It’s actually hard to read at first from the constant change of voices but you will get the hang of it after the first few chapters. It’s almost 300 pages but you can read it in one sitting with a normal pace. It’s lyrical and depressive. Yet, I found myself anticipating what happens next. There are some moments when I needed to take a break to breathe because some scenes are hard to swallow. It’s painful. Hannah is very sensitive. Maybe too sensitive. Some people might think she overreacted all the time but if you are sympathetic enough or you have walked in her shoes(at least, while reading) you will see how hard things became for her just because of a List. You will look for yourself in the book. There are diverse characters and somehow you will ask yourself if you ever find yourself in that situation, will you be included in the reasons? A snowball effect-that’s how Hannah described what’s happening to her life. Things got worse one problem after another. You will get to choose whose side you’re on, I mean, will you understand her or simply just shrug and tell her to get a grip of her life? It will teach you how to be sensitive enough to know that people around you might be suffering from suicidal thoughts and depression. And these people need others. But, they also need you to be patient enough with them because most of the time, they have created barriers due to the painful things they’ve encountered in the past. Only few are brave enough to knock even when no one’s answering. Only few people stay even after you push them away. Simple things, like creating rumors might ruin someone else’s reputation and believe it or not, people care about their reputation. Not every one is thick enough to be bulletproof and invincible with people’s perception of them. The metaphor about the STOP sign: It’s quite a very obvious depiction of how Hannah wants to make things right after all, but people can be so mean and selfish to even care. No matter how depressing the story gets, in the end we get to see how Clay wants to use his new understanding of Hannah to at least, try to “save” other people through his words and actions. This book has a hopeful ending. It’s my second time reading this book and I admit I did not enjoy it the first time. I even rated it 2.5 stars on Goodreads but I think I just don’t have the proper timing to read it before or maybe I understood Hannah better now. 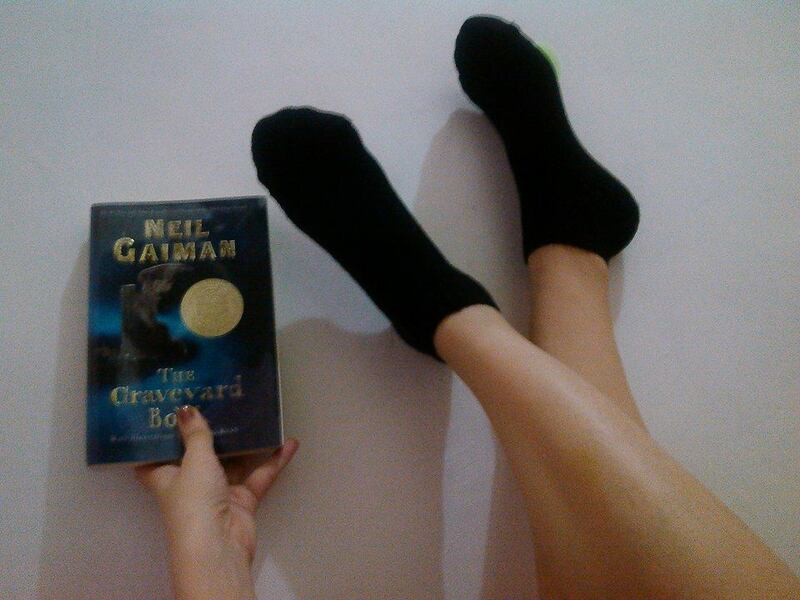 But nonetheless, I recommend this to everyone who are sixteen and above. It has some graphic description you wouldn’t want kids to read yet and I understand how it became a banned book. It’s sad the movie adaptation didn’t push through. I’d love to see Selena Gomez play the role well. Hi guys! The book we are going to review today is a 1997 Pulitzer Prize awardee. It’s actually a memoir. I don’t really read memoirs because I think it’s a little pretentious (oh well, I’m absurd like that) and a little edited out of reality. But I gave this one a try and I did not regret reading it. I actually had a hard time finishing this book because it’s really heavy and the format isn’t really the traditional novel format. It doesn’t have quotation marks and some of the accents are sometimes indistinguishable. 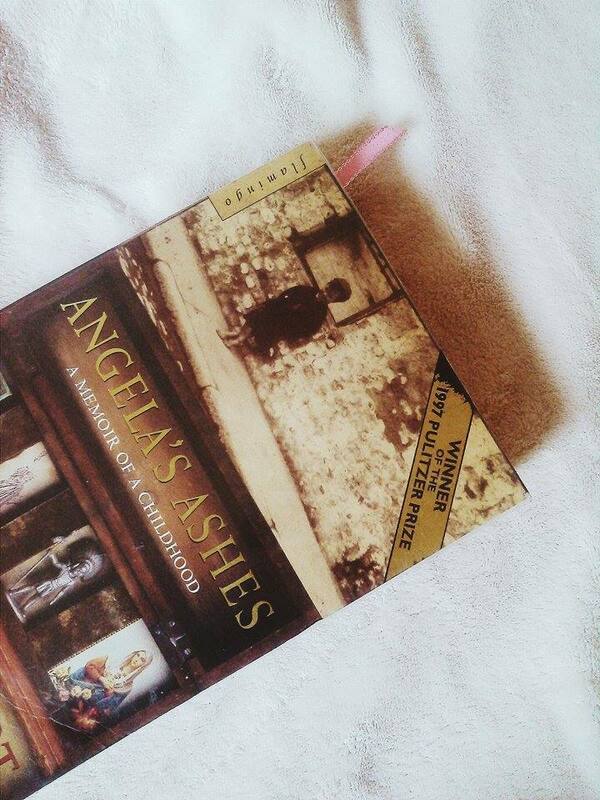 I finished this book more than a week and that was long for me, but nonetheless, I think I enjoyed reading it. So, here’s the review! So begins the luminous memoir of Frank McCourt, born in Depression-era Brooklyn to recent Irish immigrants and raised in the slums of Limerick, Ireland. Frank’s mother, Angela, has no money to feed the children since Frank’s father, Malachy, rarely works, and when he does he drinks his wages. Yet Malachy — exasperating, irresponsible, and beguiling — does nurture in Frank an appetite for the one thing he can provide: a story. Frank lives for his father’s tales of Cuchulain, who saved Ireland, and of the Angel on the Seventh Step, who brings his mother babies. Let me just say that this book is so depressing. It actually made me feel uncomfortable and I almost did not want to finish it. From the story of Frank’s mother and father to how his sister and brothers died and how they almost became beggars. I also had nothing to do with his father because I resented him for his alcohol problems. I wouldn’t want to experience something like that. You will imagine everything that’s happening around them because the writing is easy to grasp once you get the hang of it. I never thought that I would remember everything that happened in the book because I was really not that determined to finish it but I found myself really absorbing everything around Frank’s life and how I imagined him growing up and experiencing more out of life, which, if I’d be honest is really really hard and I don’t know how they survived those miserable years. Pig’s head for Christmas anyone? How about going to school with broken shoes and being rejected by the Priests for secondary school? I had a lot of issues with this book but not because I don’t like the writing and all that, but I found myself asking why those had to happen to little kids?! I.JUST.CAN’T. I read a review that this is just a one sided account of Ireland during their time, but one sided or not, all I know is that life is hard for Frank. And how he survived? Well, people are resilient and he showed me that. He’s very inspiring and I’m glad he lived to tell the tale. Holy bed!! (yeah, whatever, I’m on my bed right now) I cannot explain what I feel right now. 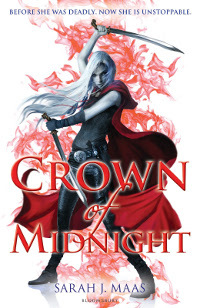 I just finished Crown of Midnight ten minutes ago and all I can say is, “Oh my gosh, oh my gosh!” The only fantasy novels I’ve ever read(except dystopian) are the the Harry Potter books , but this one, Throne of Glass, oh my!! I just wanna squeal and fangirl all day! But before that, we have to do a short review for each. Ready? Ready! Celaena, Celaena. Who wouldn’t want to be you? I mean, yeah you have a troubled past but how could you be so strong yet so fragile all at the same time? And all those witty banters that you enamored the captain of the guard and the prince himself. But, don’t be fooled. The book does not revolve around the love story, but rather with Celaena and all that is surrounding her and the world she lives in. It’s the most interesting world I’ve ever come across so far! I had the same feels with Harry Potter, but it’s very different, it’s just that, I get the same excitement with these books. Moving on, I won’t bother giving you any spoilers but I just really want to release all the excitement that I am feeling right now and all the things that I love about the first book. 1.The main character is such a badass and witty and pretty and smart. Not to mention, she’s the world’s deadliest assassin who will become the King’s champion. 3.The Princess! I love her! 4.The castle made of Glass, the wyrdmarks and all the names you will have a hard time pronouncing. 5.The writing itself is splendid and perfection. 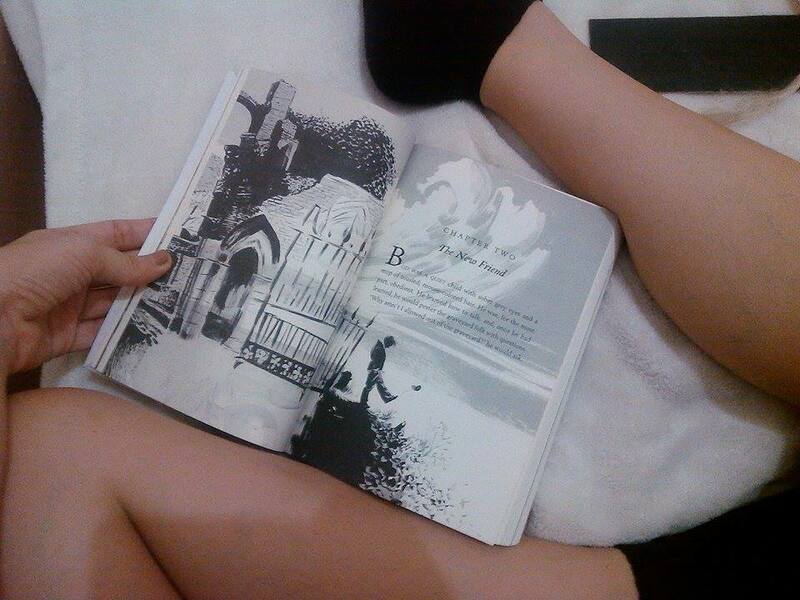 When I finished the book one, I know I have to read the second book as much as possible. This series have made a lot of fans all over the world for years now, and now I know what the hype is all about. 2.Mort is a talking door knob, wait is he a door knob? But he’s part of the door and he’s talking because of magic. 3.The friendship of Calaena and the princess came to a halt because the princess died making her depressed and out-of-control with all the anger. 4.When she admitted to Chaol that she did not really kill some of the people the King wanted her to kill. So, there! I told you, I wouldn’t talk about a lot of things because my mind is faster than my fingers and I cannot seem to grasp everything. I just really want you guys to know, that you wouldn’t regret trying out the fantasy genre. There are actually good books out there and I would highly recommend this series. For now, back to reality!